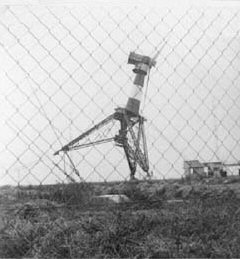 Animation of the tilting . This sequence for the tilting of the 150 tons of the wind turbine actually needed 1 hour 15 minutes. 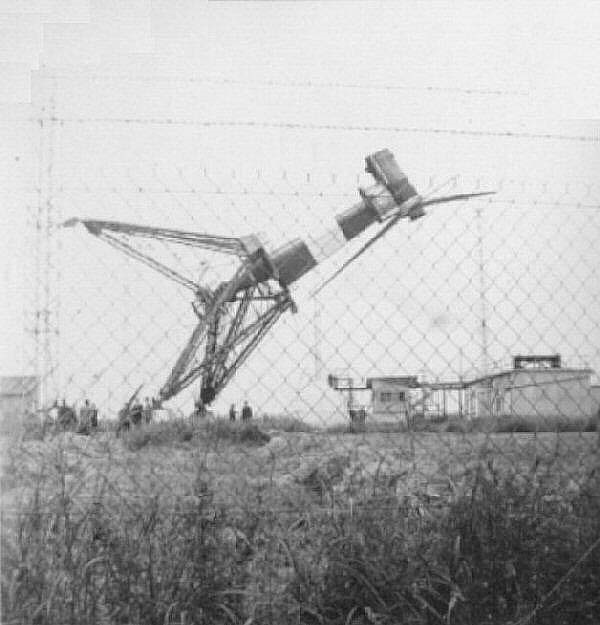 Decomposition of the tilting motion. 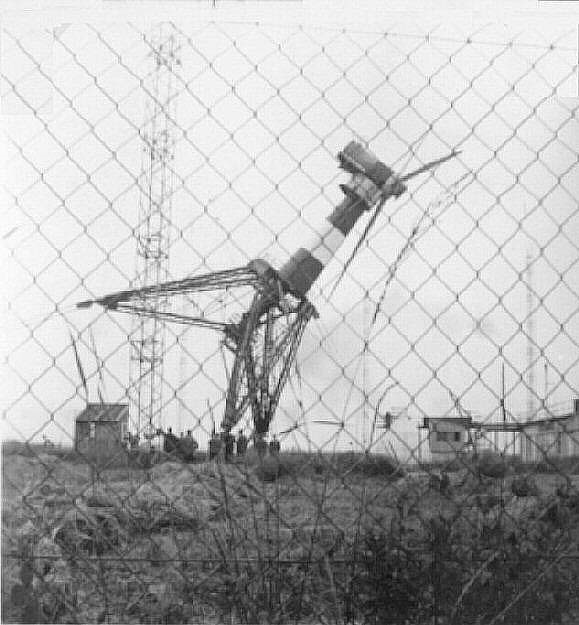 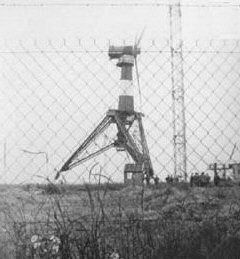 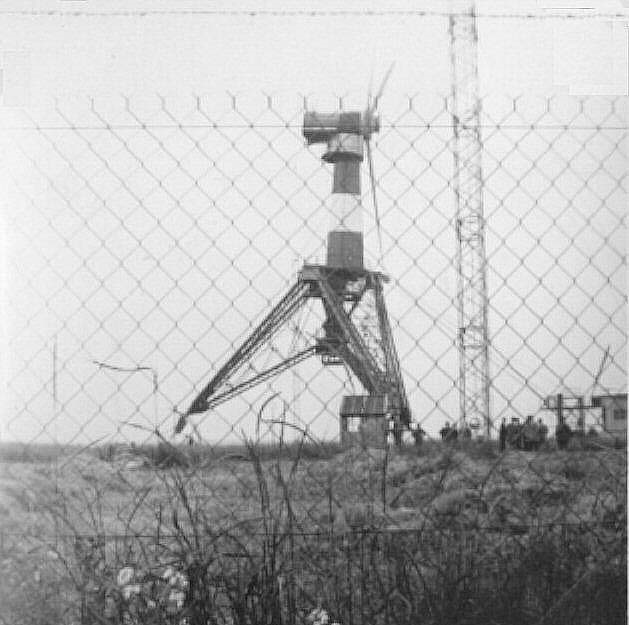 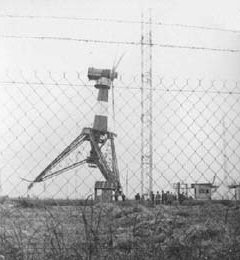 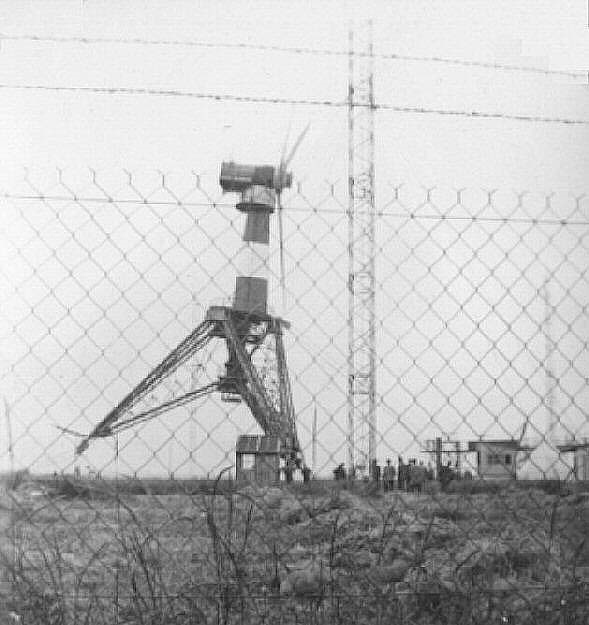 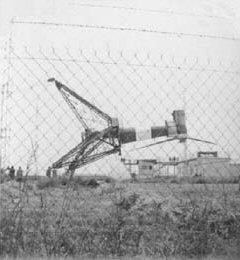 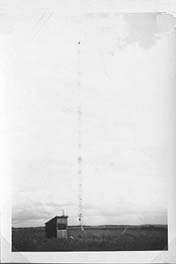 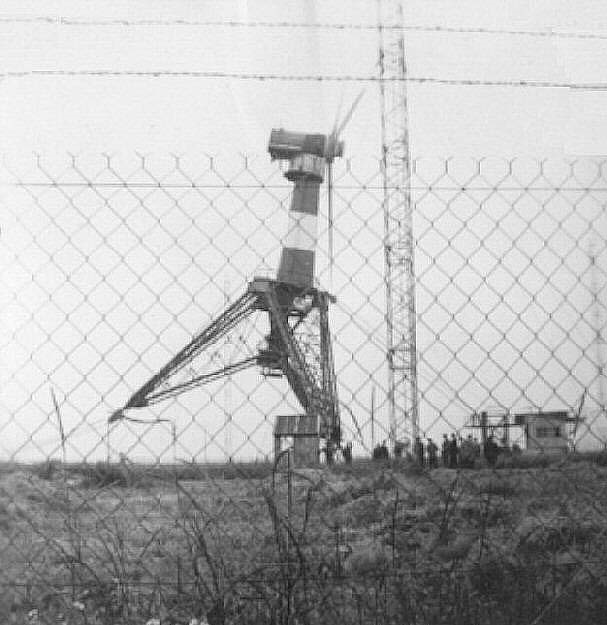 In the first phase, the winch North which can be seen in clear right of the photo (right of the group of spectators), drew on the block and tackle on the platform at the top of the tripod to switch down the wind turbine. 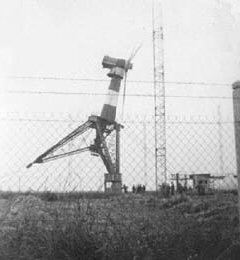 During this phase, the South winch ran cable to hold it in tension. 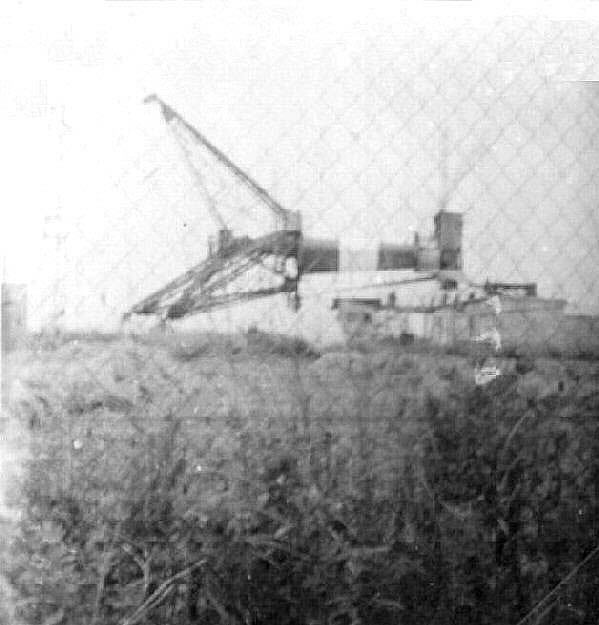 This second cable was attached to the block and tackle which can be seen at the base of the foot south (left in photo). 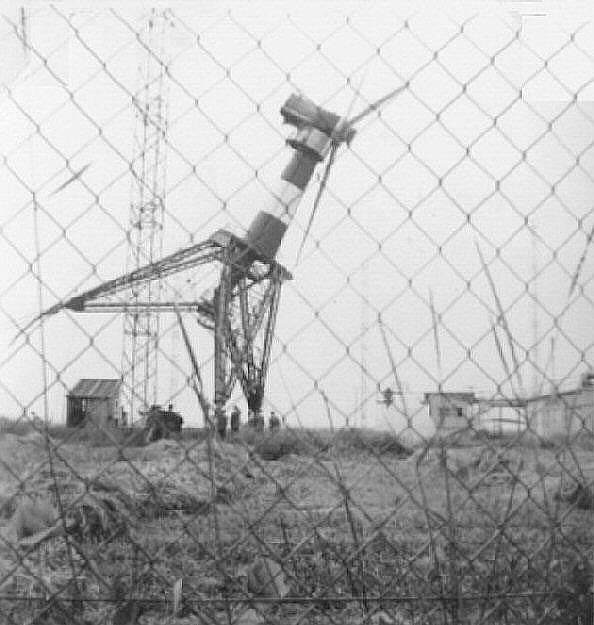 the manager of the station whose control room was housed in the hut you can see in the foreground, committed the second phase. 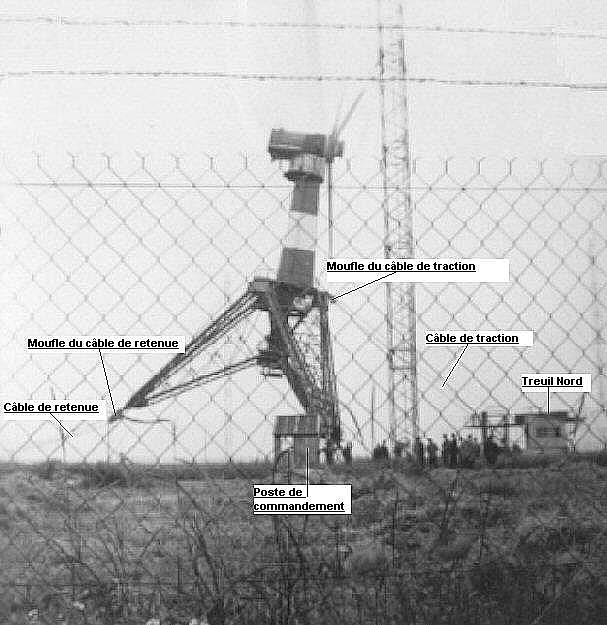 (Click on the pictures to see their actual size). 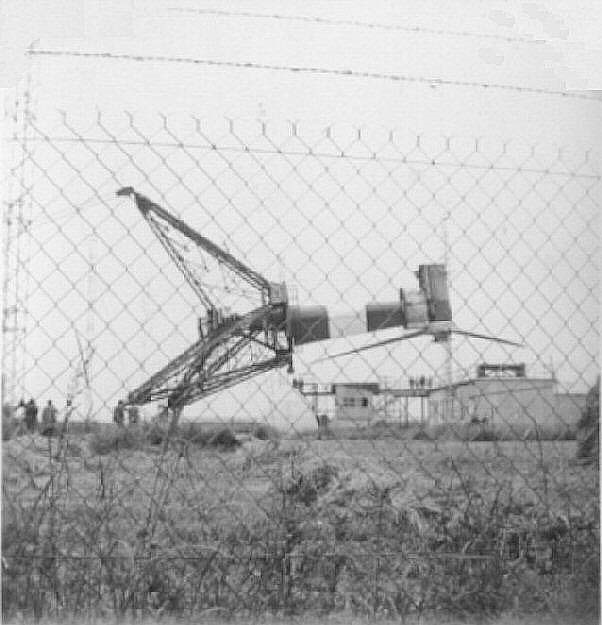 At that time, the South winch brake on the fall of the machine while the north winch cable wrapped traction. 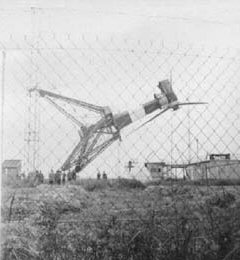 the South winch pulled while the North winch restrained. 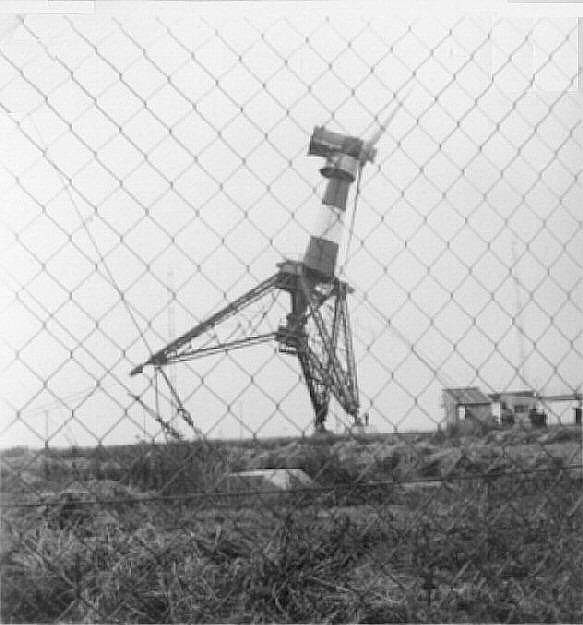 The poor quality of photographs, made ​​by a miserable weather, is due to the age of the photographer. I made these pictures myself with Semflex (type 3 according to PH Pont) of my father. 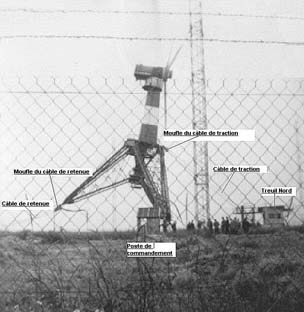 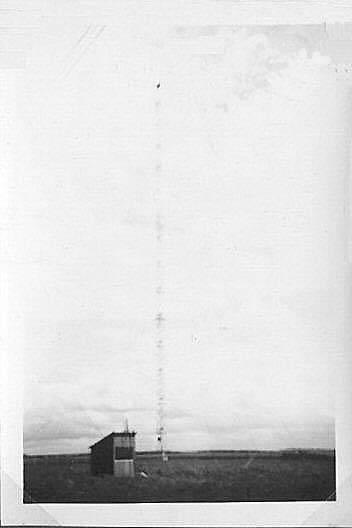 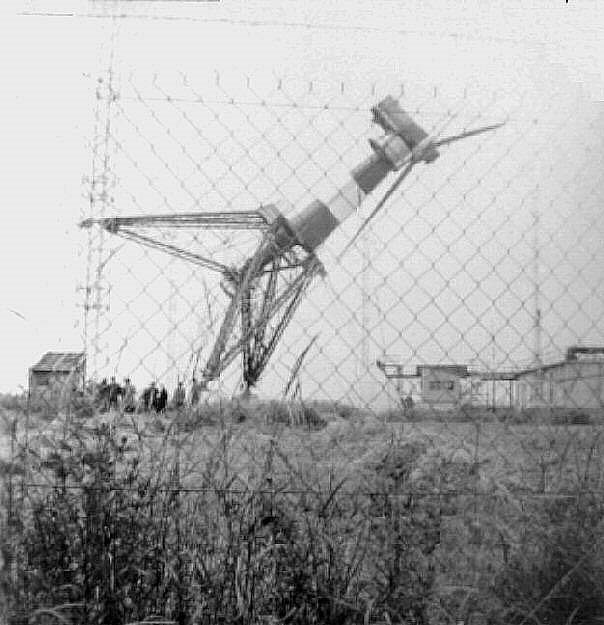 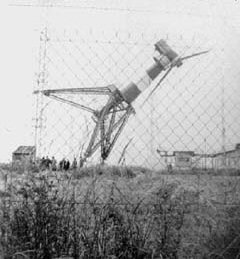 I was barely 11 years old and my father, because of the risks, did not allow me access to the field during the maneuver, which explains the presence of the fence in front of the lens. 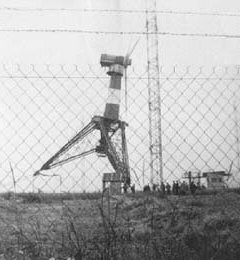 before installation of fairings that took place during the summer of 1958. 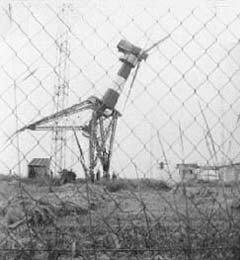 The control room from where my father, responsible for the station, ran the tilting . 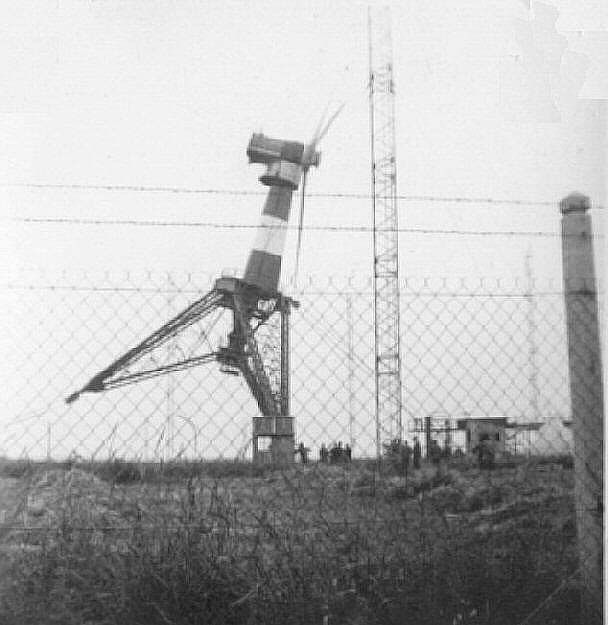 In the background the tower of 60 meters.